For a not inconsiderable number of people the Spanish dream has turned into a nightmare as a result of the property implosion. Setting aside those semi-professional property investors who borrowed in the extreme in order to buy multiple properties, those who simply dreamed of a retirement or permanent move to the sun and who have seen their income disappear either due to fluctuating exchange rates impacting on pension annuities or being made redundant have been put under extreme pressure from banks in Spain when they find themselves unable to meet the mortgage repayments.In 2010 alone more than 118,000 properties were repossessed by banks in Spain. 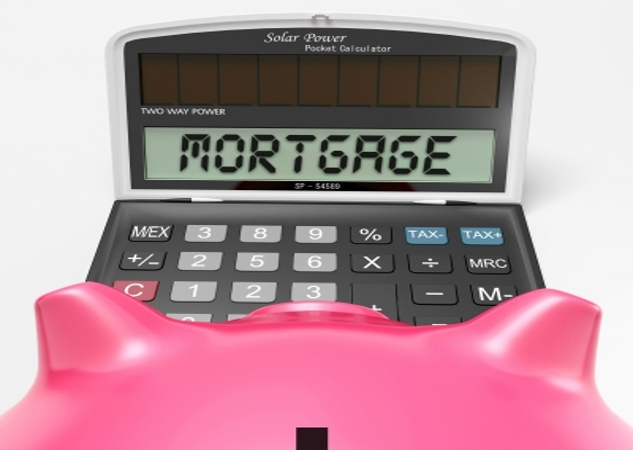 Of course in Spain, unlike in the UK or the US, any individual who owes a bank money via a mortgage agreement is liable to repay that mortgage debt using all current and future income and assets. This effectively means that there is little opportunity for a person to escape liability for a mortgage debt in Spain. As a desperate search for solutions to huge problem continue recently some Spanish legal cases as well as some vague political electioneering have raised the possibility of employing a little known legal concept in Spain known as ‘dación en pago’ which involves the bank accepting the property as a full and final settlement of the mortgage debt. While the banks have reacted negatively to the developments and are appealing all of the court judgements, it appears that dación en pago may be an acceptable solution in certain cases. While there will not be certainty, at least before the relevant cases have been fully appealed, the banks are maintaining their stance that unless they agree, in the specific circumstances of an individual case, to accept the property in lieu of repayment of the mortgage then the mortgage debtor remains fully liable for the amounts outstanding. It seems however that where non-Spanish individuals are concerned the banks are more likely to accept the property as a valid payment of the mortgage.This would no doubt be a huge relief to many people caught in this predicament. It appears that while the banks are more likely to accept the property in the case of non-Spanish mortgage debtors, it is by no means cut and dried. There are a number of criteria that the bank will seek before going down this route: both partners should be in long-term unemployment and unable to pay their debts. At the end of the day it is up to the bank to decide and this can depend on factors such as the banks level of bad-debt and it’s need to ‘make’ its year end numbers. It would appear also that some banks are more likely to consider this solution such as Caja Madrid, La Caixa and Santander, to name three. It is still the case that the bank will consider ‘dación en pago’ as the absolutely last resort and will seek other solutions to avoid having to accept the property on to it’s books. That said, if you are not Spanish and planning to return to your country of origin this may provide the solution you are looking for. Inmaculada has been of excellent service to us, as a family and in helping to set up a business in Spain. She has now undertaking several project for us and has delivered high quality on all of them. Perfect service! Extremely accommodating and highly professional and very pro active. Excellent result and service. Highly recommended. My lawyer Alvaro was extremely helpful and very efficient. I would definitely recommend his services to friends. Jaime was wonderful - at first I had no idea how I'd get the support I needed in a country I don't know well and a language I'm not fluent in, and he made it a breeze. Would definitely use them again. Inma was very helpful, always happy to assist. I particularly appreciated her professionalism. I would not hesitate to recommend her services to friends. Miguel in Oviedo helped us during the process of buying a flat in Asturias. He was just brilliant! Gave very good advice and provided an excellent solution. Inma is very professional in her work. I would recommend her services to friends. Maria was extremely helpful and professional, and put herself out to satisfy my needs. I contacted her on a number of occasions and always had very good advise on costs etc. Her English was impeccable and could always be understood. My husband and I were very happy with the service we received from our lawyer Inma, she went above and beyond to make sure everything went smoothly while we was buying our first property in spain. We will use them again for anything legal we need and would highly recommend them to anyone. Thank you for your great service. Overall the service provided by Oliver was exceptional. My mother and I couldn't of asked for more from him as he sorted out our family affairs. His attitude, attention to detail and promptness while helping us were second to none. His English is top notch and his way of explaining and or guiding you through what needs to be done makes the whole experience easier than expected. We'd recommend Oliver to anyone in need of his expertise while dealing with issues in Tenerife. Beatriz was professional and quick to respond. Would definitely recommend to friends. Juan was fantastic. Very easy to understand and very pleasant. I would definitely use his service again. The whole process from start to finish was straightforward and well explained. I honestly cannot recommend them enough! They really went out of their way to be helpful and kept me up to date at every opportunity. Excellent value for money from some really nice and genuine people. True professionals. Wouldn’t hesitate to use again in the future. Extremely helpful and very professional. Will definitely use Alvaro next time we require legal advice. Professional, friendly, efficient service, good value, a pleasure to use the services of the lawyer and his team. In depth knowledge of the relevant laws, taxes etc. Would highly recommend and use again. I liked Alvaroós enthusiasm, and the great level of customer service. He always answered my questions thoroughly. We could not be more happy with the service we received from Jaime. He responded immediately to our enquiry and it was clear from the outset that he fully understood our position. It was vital that Jaime acted quickly in this matter and he did so in a highly professional and competent manner, providing us with clear and concise updates throughout. We found Jaime to be very polite and approachable and we believe his fees to be very reasonable. We would genuinely not hesitate to recommend his services. Before contacting Jaime, our previous experiences of Spanish Lawyers had been appalling - in fact we needed Jaime's help to resolve issues which previous Lawyers had created. Our only regret is not finding Jaime sooner! Thanks so much for all your help Jaime. Very satisfied with the service provided by Beatriz. She extremely helpful and spoke more or less fluent English. We would definitely recommend her to friends. Pedro was extremely helpful, he couldn't have done more. We would definitely recommend his services to friends. Inma is easy to talk to, is prompt in replying to emails, is helpful and above all achieved the solution I wanted. My lawyer Cristina was extremely understanding , friendly and reassuring. With Cristina on my side, it gave me confidence to continue.